After strengthening on what many believed would be a more hawkish administration ahead, aerospace and defense sector exchange traded funds are under attack, with President-elect Donald Trump taking aim at Pentagon’s high expenditures. On Monday, the iShares U.S. Aerospace & Defense ETF (NYSEArca: ITA) fell 1.3%, PowerShares Aerospace & Defense Portfolio (NYSEArca: PPA) dropped 1.3% and SPDR S&P Aerospace & Defense ETF (NYSEArca: XAR) retreated 1.4%. “The F-35 program and cost is out of control,” Trump tweeted Monday. “Billions of dollars can and will be saved on military (and other) purchases after January 20th,” referring to inauguration day. 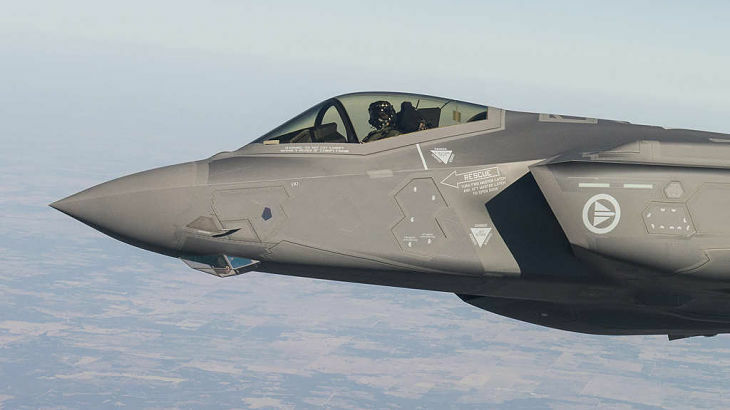 The F-35 is Lockheed’s largest source of revenue, making up 20% of sales. Lockheed Martin (NYSE: LMT) declined 2.7% Monday in response to the tweet. LMT makes up 7.5% of ITA’s portfolio, 6.5% of PPA and 4.3% of XAR. The aerospace and defense industry initially rallied off the back of a Donald Trump election win after the President-elect called for a larger armed force and greater fleets of combat ships and fighter jets.